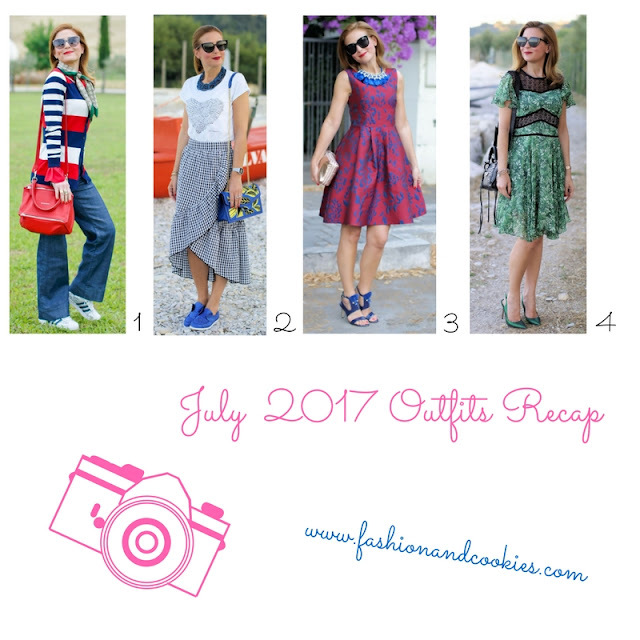 Outfit ideas and fashion recap from July: I have been slowing down the posts just a little bit because I am having a hectic life among the work and studying and in my spare time I have been enjoying the sea and the beach. Blogging is, as you know, a passion therefore it is affected by a slower rhythm and...extreme heat. So, this means we have less looks this month - but we're going to be back to usual number of outfits soon. These four outfits may be fewer in number but they do represent my idea of casual and of party elegance. What is your favorite one? Idee outfit e riepilogo fashion di luglio: ho rallentato i post un po' perché sto avendo una vita frenetica tra lavoro, studio e nel tempo libero mi godo il mare e la spiaggia. 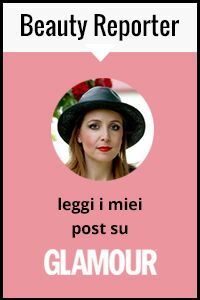 Il blogging è, come sapete, una mia passione per cui nei mesi estivi risente dei ritmi diversi e...del caldo estremo. Ciò significa che abbiamo meno look questo mese - ma torneremo al solito numero di outfit presto. Questi quattro outfit saranno pochi ma rappresentano bene la mia idea sia di casual che di party elegance. Quale preferite? I have been experimenting with preppy style with a lovely Smash! cardigan and also tried the gingham trend, so hot this season, with a ruffle skirt and sported a lovely t-shirt from artist Simocal. My two beautiful elegant dresses are from Metisu and I love them both. My favorite outfit from July is, anyway, # 3, because I love the bold colors too much and also that kind of dress is the one I like the most. What is your favorite outfit from July and how have you been spending your Summer so far? Ho sperimentato lo stile preppy con un adorabile cardigan di Smash! e ho provato il trend dei quadrettini gingham, così popolare questa stagione, con una gonna con riccio. Ho sfoggiato una bella t-shirt dell'artista Simocal. I due bellissimi abiti eleganti sono di Metisu e li adoro entrambi. Il mio outfit preferito di luglio è, comunque, il numero 3, perché mi piacciono troppo quei colori e il taglio dell'abito è da me prediletto. Qual è il vostro outfit preferito di luglio e come state trascorrendo la vostra estate? Super adorable outfits, all of them but my ultimate favourite one is the last one. You're looking like a doll! You have amazing style. That second outfit is BEYOND stunning! I love it! Great recap and outfits ! Such beautiful looks showcased here, really like the green dress it's so beautiful. Uno più bello dell'altro i tuoi look Vale! I love it how vivid and different your styles are. From classy to casua, bright and always simply lovely. All of These Looks are amazing, you have such a cute Styling. Il primo look sporty è davvero stupendo!!! Enjoy your summer lovely! Look number 2 is my fav, that skirt is gorgeous! I tuoi Look sono tutti bellissimi!! These are all such fab outfits, lady! I especially love the gingham skirt, so cute and trendy! Thanks for sharing and I hope you have a great weekend ahead!